One of Susan's passions is cooking and creating new recipes for family and friends. Looking for an inexpensive dessert to make? Pudding pies are not only inexpensive and delicious, but there are so many different ways you can make them. Everyone from children to adults enjoy pudding. 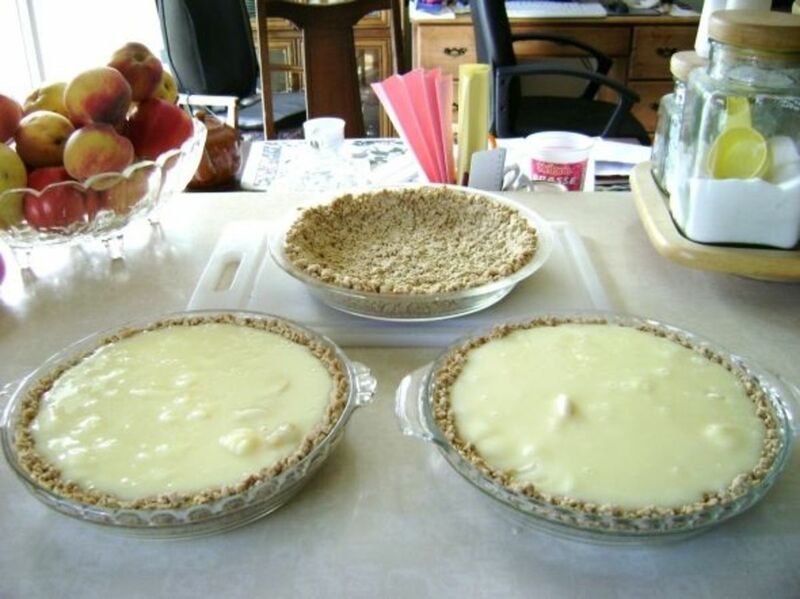 Pudding pies are quick to make with very little preparation. If you need a last minute dessert for unexpected dinner guests or to take along for a family picnic why not make a pudding pie. 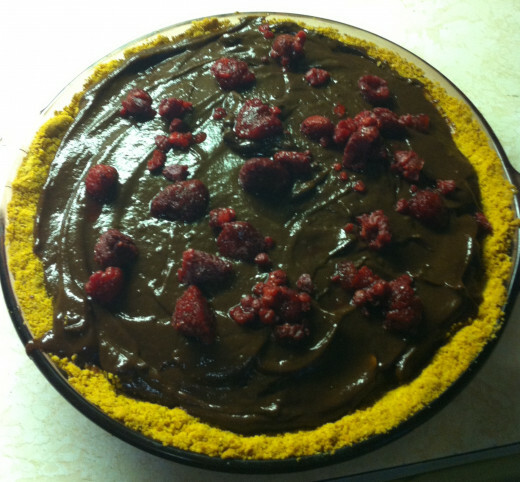 The following recipe is for a chocolate banana peanut butter pudding pie, topped with raspberries. The peanut butter is in the crust. If you are using graham crackers rather than the prepackaged crumbs you will need twelve whole crackers. 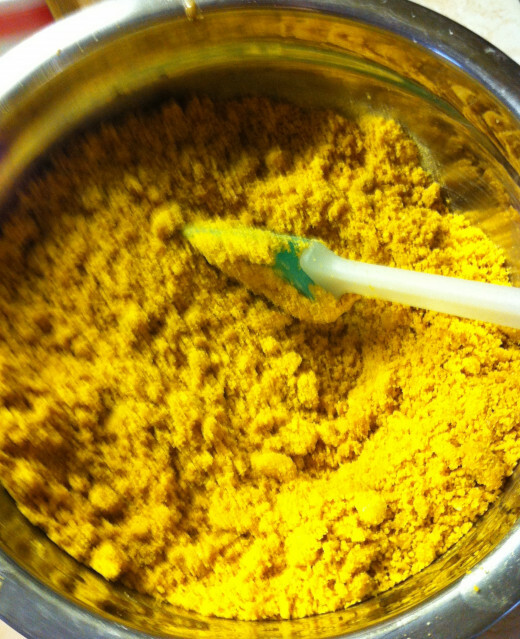 These can be either ground up in a food processor or put into a plastic bag and rolled with a rolling pin. You may wish to use a store bought graham cracker crust and omit the peanut butter flavor. 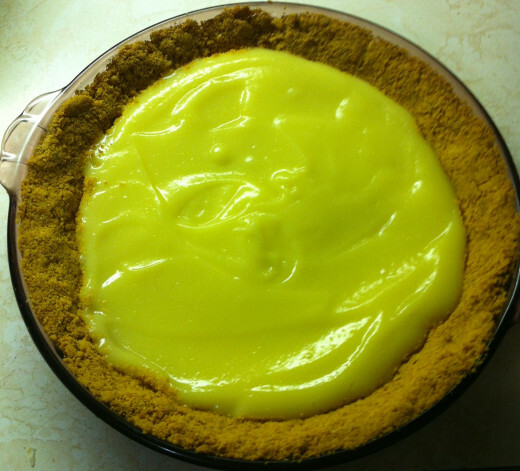 To make a plain graham cracker crust use butter in place of the peanut butter. Melt 1/3 cup of peanut butter in the microwave or on top of the stove until it is a runny consistency. Preheat over to 350°F. 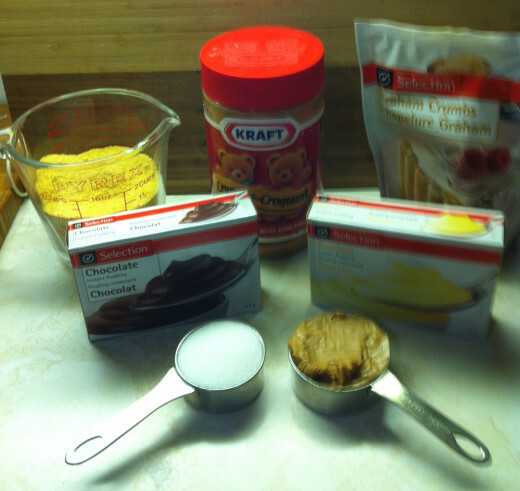 Mix the graham cracker crumbs along with 1/4 cup of sugar, and then add in the peanut butter. Blend until mixture is that of a coarse meal. Butter a 9 or 10 inch pie plate. 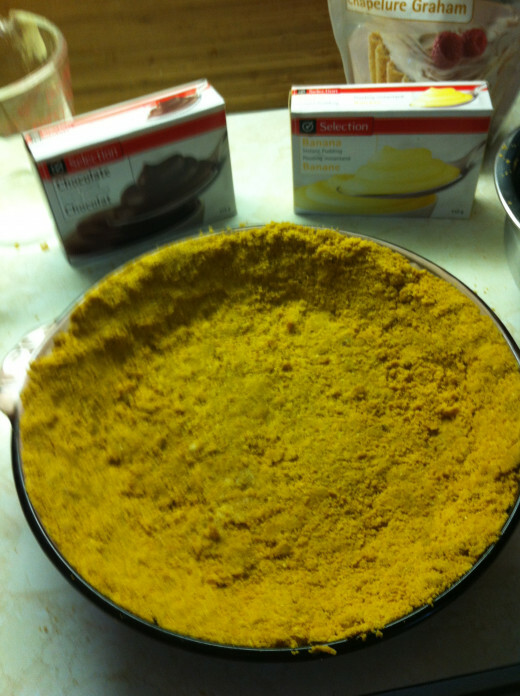 Press the pie crust mixture into the bottom and up the sides of the pie plate. Pop in the oven for ten minutes. Remove from oven and let cool. With an electric hand mixer blend and mix the banana pudding with 2 cups of cold milk. Pour into the pie crust. 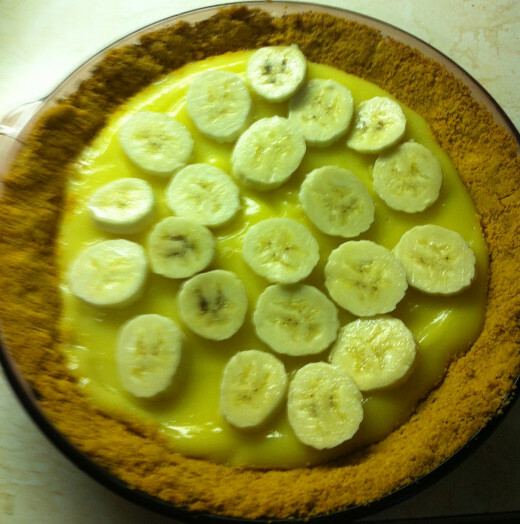 Slice banana and place on top of the banana pudding. Mix and blend with an electric hand mixer the chocolate pudding with 2 cups of cold milk. Pour over the top of the bananas. Top with raspberries and refrigerate until ready to serve. How cheap was this pudding pie to make? To serve 6 people the cost per person would be 60 cents. For Canada Day: Vanilla pudding topped with sliced strawberries. Fourth of July: Vanilla pudding topped with sliced strawberries and blueberries. 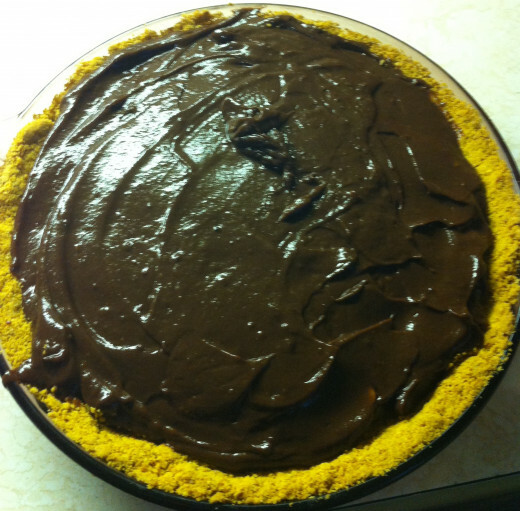 Butterscotch and chocolate pudding pie. Between the layers lay chocolate or butterscotch chips. Top with whipped cream. Pistachio pudding pie. Start by putting pistachios (shelled of course) on top of the crust and then pour a double batch of pecan pudding on top. 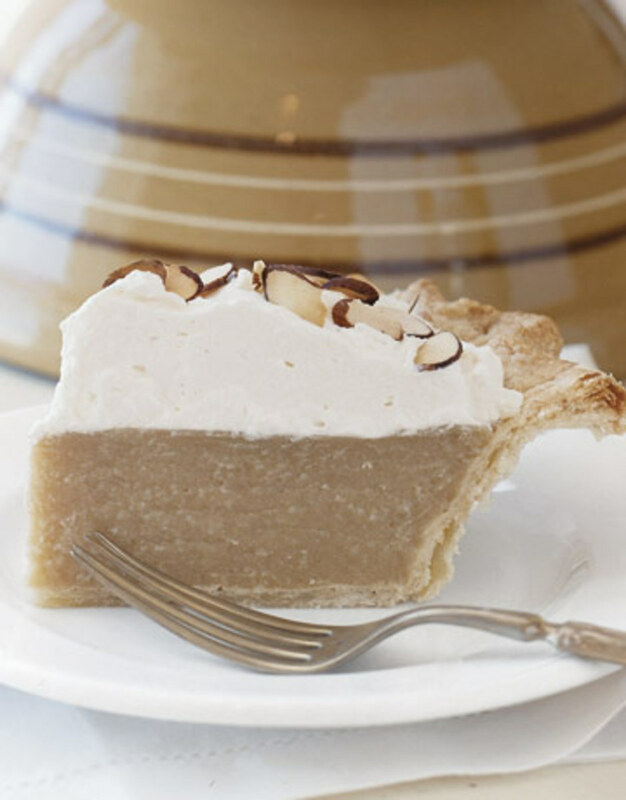 There are so many different varieties and ways to make pudding pie. You can get quite creative and impress your family or guests. Experiment and have fun. What is your favorite flavor of pudding? Other flavor please let me know in the comment box. Thanks Dr. Mark and Merry Christmas to you, your family, and all your furry friends. I came over to read something else and saw this. It looks really great, but of course I will modify a few things for down here. Great recipe ideas, thanks. Looks yummy but I would prefer just chocolate. Does that mean I would use two boxes of instant chocolate pudding? I love pudding pies. If I know company is coming their so easy to throw together. Voted up and more. vocalcoach, Hope that you enjoy the pie, and I'm sure it will turn out great. 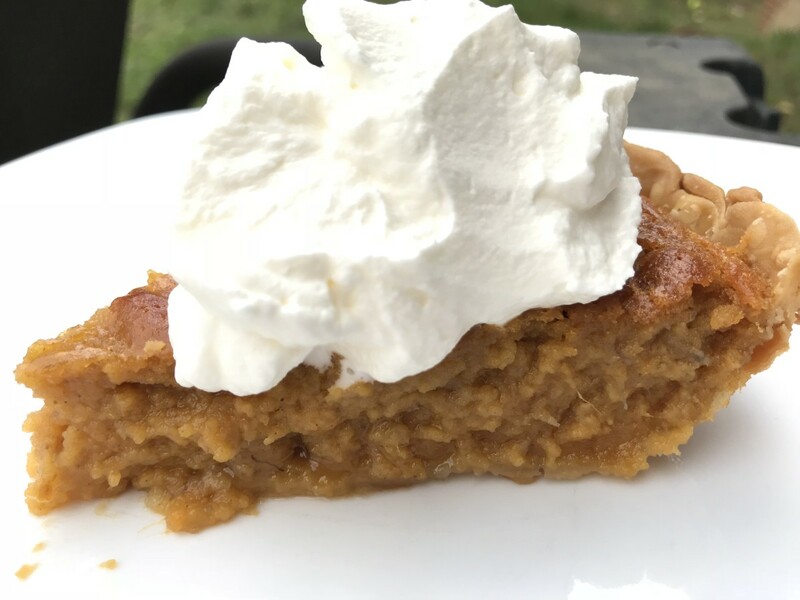 I don't bake very well (confession) but with your easy to follow instructions along with the magnificent photos you took...I'm bound to do ok. And if this turns out, then I'll make your other pudding pies. Sharyn, I wanted to get the peanut butter in there someway and thought ah in the crust. sen.sush, Thanks hope you enjoy the chocolate chip pudding. The combination sounds wonderful. Love banana and chocolate together. And I love the idea of using peanut butter instead of butter or margarine for the crust. Sounds good! b. Malin, Thanks and enjoy! Susan, I was really getting quite bored of serving custard as dessert. Your recipe put fresh ideas in my head..Though I don't particularly like banana flavor in my dessert, I think I can try the chocolate chip idea.. voted up and sharing. I just love pudding... mmmm... lots of it too. It is not to bad calorie wise either, as long as you can do it in moderation. This looks absolutley delicious. I must say though, I kept thinking how awesome would this have been if you would have used an oreo crust! MMMMM delicious! 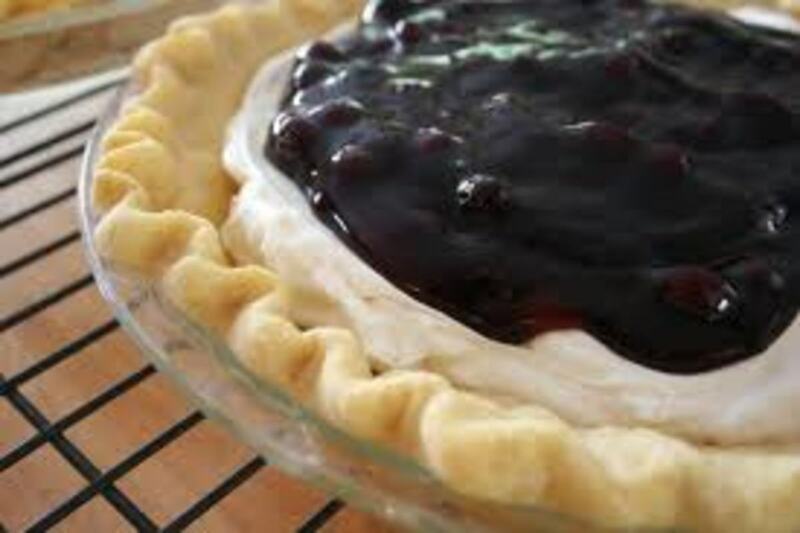 This looks like a great pie for a 4th of July celebration! Definite votes and shares! Susan, you had me at the Word Pudding Pie...Mmmm, my Mouth began to Water. Not only that, but I can make this, and I will! So, thank YOU! OMG, I would kill for a chocolate banana peanut butter pudding pie, topped with raspberries...Yummy Yummy..
Hi Susan, this sounds nice and easy to make and looks so yummy! Tammy, Thanks and glad you liked the hub. I normally love chocolate pudding the best, but a banana pudding pie with the sliced bananas and tons of whipped cream are right up there too. Great suggestions and a quick desert. Pinning! Vicki, Thanks, I know it is quite similar to the pie that you made which looked delicious. Mike, Kinda hard to burn this one, unless you burn the crust :) Thanks for stopping by to read and vote. RH, Like I said to Dave it's really an easy dessert to make. Dave, Yes it is a really easy dessert to make. My main point of posting it was to show how cheap it is to make. This is an interesting pie and sounds quick and easy to make. Thanks for a new idea. Another awesome recipe hub, Susan! It's neat how you broke down the cost. Great job! Oh my gosh, this looks fantastic! I am absolutely going to try this! I like how you placed the images here, this recipe is something that my wife can definitely utilize in the kitchen while baking, because she loves to bake all kind of goodies for us all. Thanks Susan for taking the time out to share such a awesomely written, and well put together recipe here, If I tired to make this it might just turn out burnt, because I'm always on the PC, LOL. Nice one! Voted up and out, and getting shared on my new FB profile for sure, oh and thanks for adding it for me, that was cool of you to do. realhousewife: So sorry for jumping in like this Susan. One does not really have to know how to bake to make this pie. Susan puddings are so easy to make, and making it into a pie is a no brainer. Thank you. By the way check out my latest for chocolate cake.